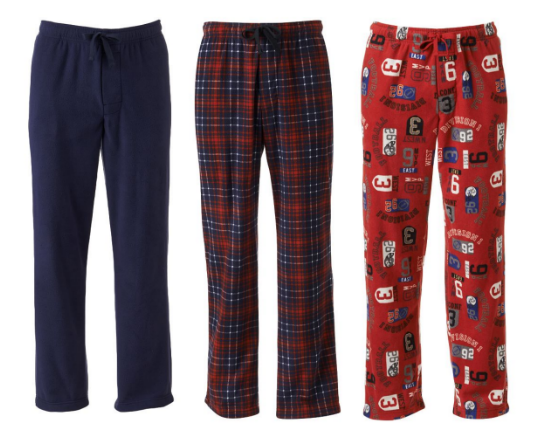 Men's Microfleece Lounge Pants Just $8.50! You are here: Home / Great Deals / Men’s Microfleece Lounge Pants Just $8.50! Men’s Microfleece Lounge Pants Just $8.50! There’s a great deal right now on these Croft & Barrow® Microfleece Lounge Pants for Men at Kohl’s!